and 2017 will be behind us and a New Year of promise, hope, and positivity will begin! But, let's not get ahead of ourselves. Let's enjoy our New Year's Eve with fervor and fashion! Whether your New Year’s Eve is a glamorous bash, or a casual night on the couch with your closest friends, there's no need to let holiday clean up take away from your day. With the biggest countdown of the year coming, and a night of celebration ahead, leave the after dinner mess in the past thanks to Fineline disposable plates, trays, and more! 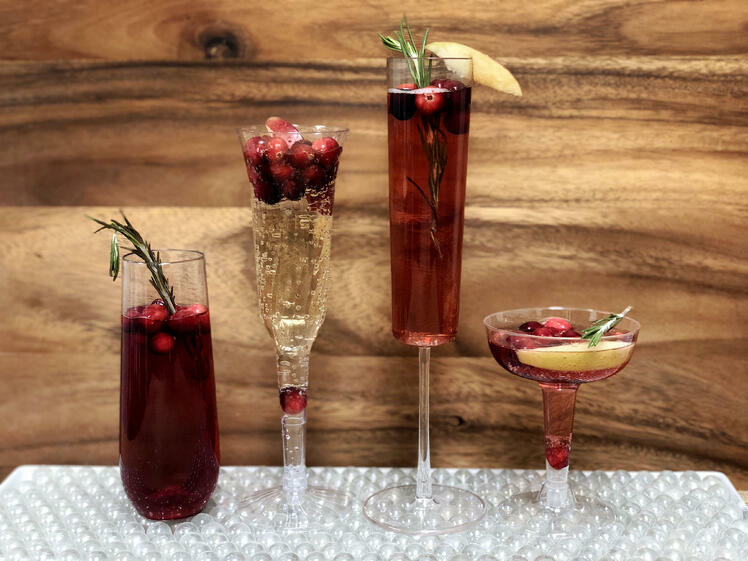 And when it's time to raise our glasses, let our beautiful selection of Stemware add both elegance and ease to your eve! 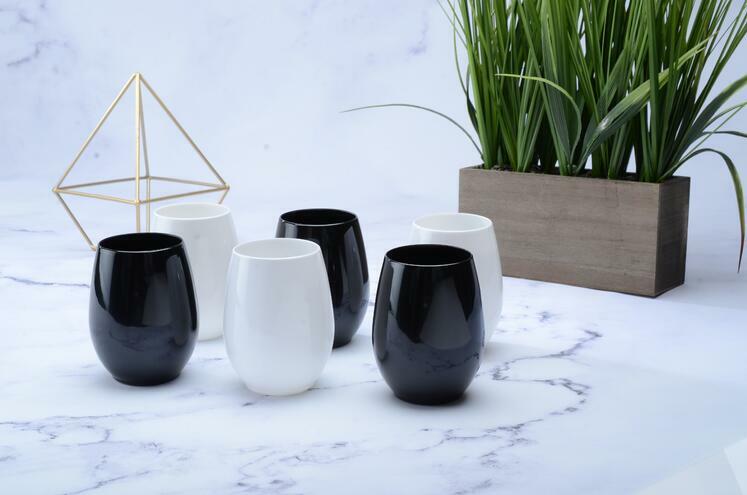 Whether it be a Moscato, Cabernet, or a dry Champagne, we have a few stemware options that will leave you hard-pressed to believe they are disposable plastic. 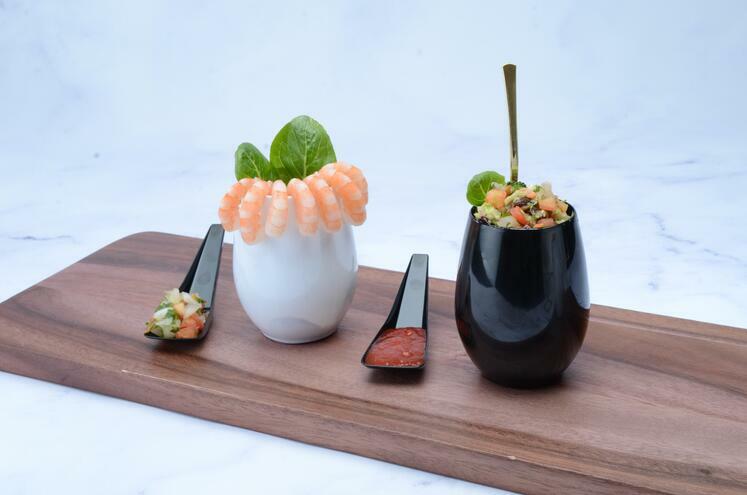 If you're going for something modern and sleek, our new Crisp Stemware has both a Champagne Flute, and a Wine Glass that will accentuate your favorite bubbly drinks! If you're looking for a more traditional style, our timeless Flairware Champagne Flutes have several beautiful options that will give you the feeling you are back in time, standing in a glamorous ballroom of the 1920s. 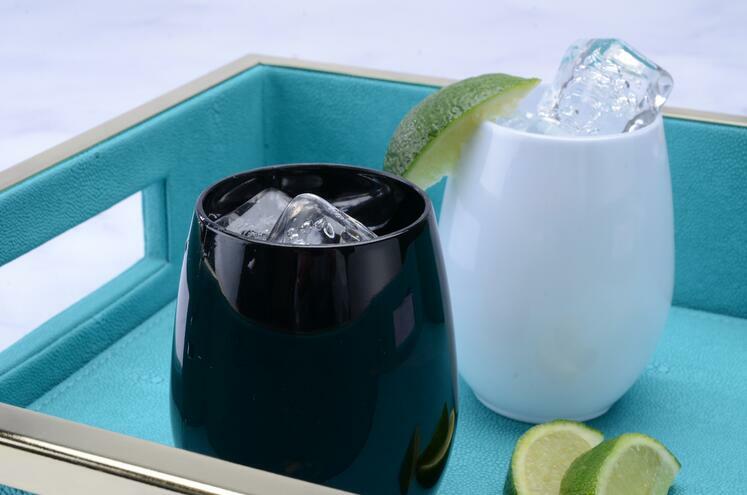 Finally, if you want something a bit more whimsical and fun, then our Tiny Temptations Stemware is an elegant miniature that will leave a big impression on your guests. But, no matter which stemware strikes your fancy, rest assured that they are all completely disposable! After all... after dinner dishwashing is soooooo two-thousand and LAME! FLS New Year’s 2017 Top "Pin-It" List! And, just for an extra bit of fun, here are some of our very own takes on some of these recipe ideas in some of the flutes we mentioned earlier! You bet that all of us here at Fineline are toasting with you in spirit! Click the image below and it will take you to our FB page with the recipe! And as we come to the end of this blog almost as quickly as we come to the dwindling final moments of 2017, all of us here at Fineline Settings wish you a New Year full of incredibly wonderful things; and we will be right here with exciting new products, and a devoted team, that will exceed your every expectation and compliment your unique style!